While watching my daughter open presents over FaceTime video-chatting last night, my sister-in-law pulled a baked brie out of the oven. Too bad we haven’t invented that food transporting machine they have on Star Trek! She did inspire me to make some baked brie to bring over to a NYE party tonight. We will be going early and leaving even earlier as Baby Bird is joining us. Although this is more of a “semi-homemade” recipe than a from-scratch deal, I thought I would share my baked brie recipe as it is always a crowd pleaser. Preheat oven to 400°F. Allow the dough to defrost according to package instructions. 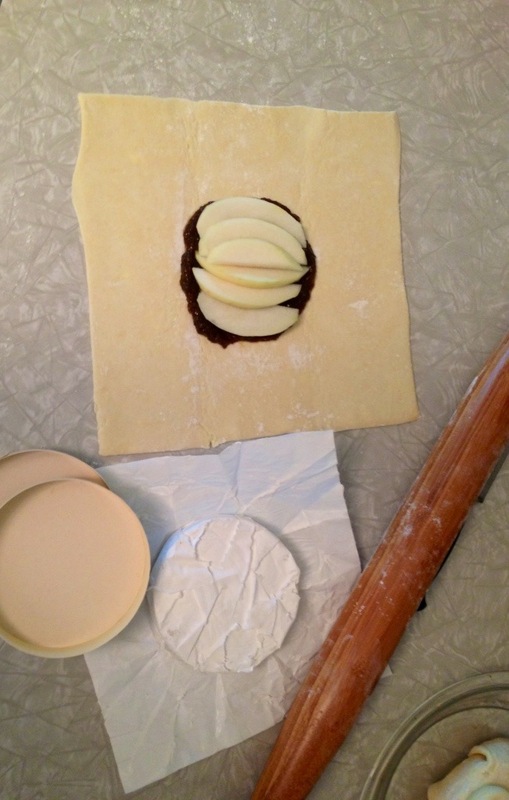 For best results, use a rolling pin to evenly roll out the dough and erase any crease marks. 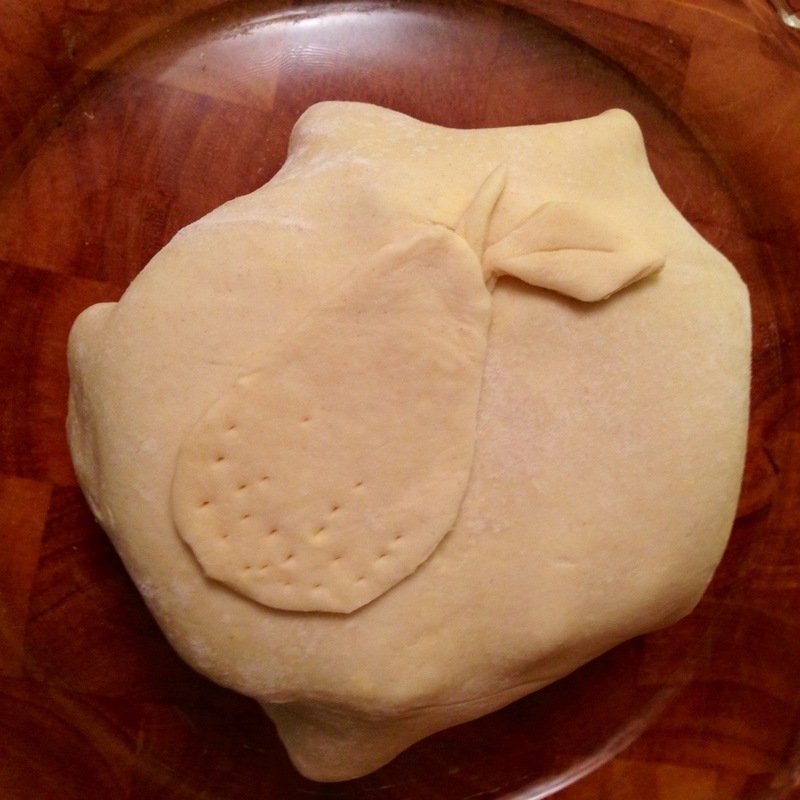 Place a round puddle of the filling in the middle of the dough. 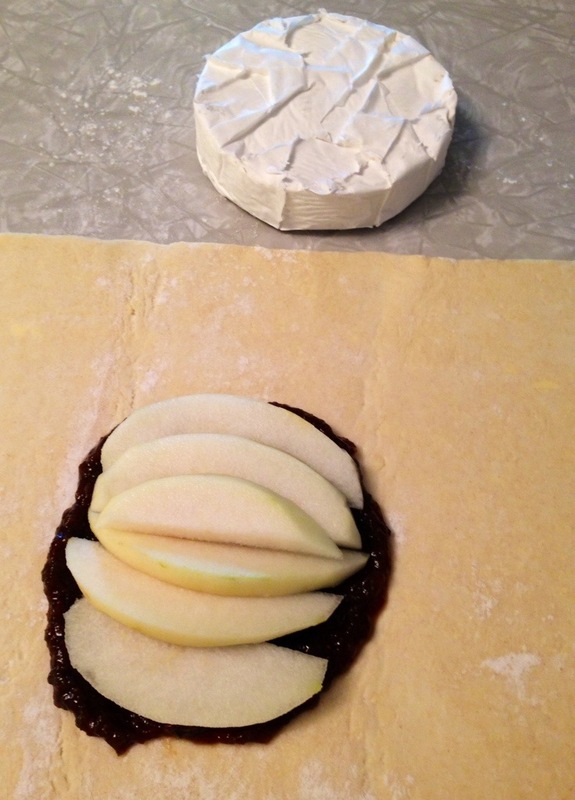 Place the cheese on top of the filling and wrap the dough around it. Flip it over and place onto a pie pan or casserole dish. Expect the cheese to pool out some during baking. Brush a little beaten egg or a splash of milk over the top of the dough. Bake for 25 minutes or until the crust is browned and the cheese is soft. Serve warm with sliced baguette, crackers and/or fruit. Mushrooms and shallots sautéed with marsala, sherry, wine or brandy, and a fresh herb, such as thyme or tarragon. A spicy jam, such as habanero-mango or jalapeño. Apricot jam with dried cranberries and almonds. Sliced pears or apples with or without fig preserves. You could also make two small baked bries, one sweet and one savory. Any other ideas for fillings?? This entry was posted in Entertaining, Food and tagged cheese, easy entertaining. Bookmark the permalink.